Imagine how much more your sales could increase when your employees embrace their personal brand and align it with your corporate brand. 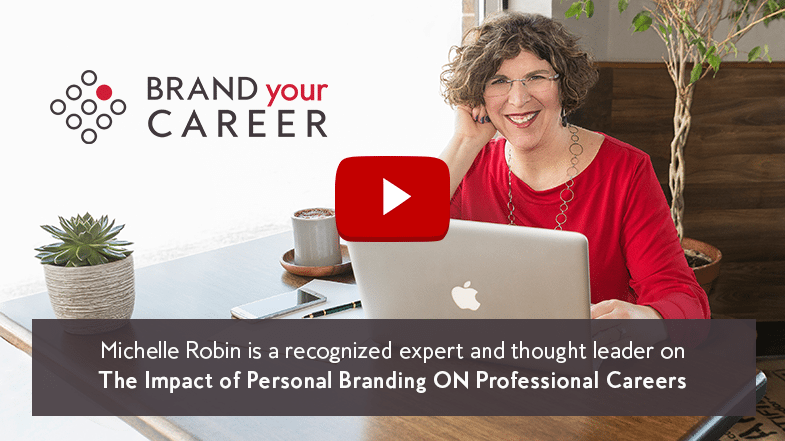 Through her energetic and engaging message, Michelle Robin shows sales and marketing professionals how to build their personal brand to advance their career and attract more customers. Presentations can be in a succinct keynote format or up to a 3-hour training seminar. Michelle can customize her presentations based on the specific audience, challenges, messaging or theme you’d like her to incorporate. You are the CEO of your career. Whether you are building your thought leadership or looking for a promotion, you need to take a proactive approach to managing your career. It starts with your personal brand. Personal branding is not new, as it really is just a way to describe your reputation. When you understand your reputation and apply it to your personal marketing materials, opportunities will begin to appear. With 500M+ users LinkedIn is way past the point of just being your digital resume. Attract customers, recruiters or hiring mangers when you unlock the keys to writing an engaging profile. Despite the changing landscape of job search, your resume still serves a critical role to help you land a new job. Unfortunately all you get are 6-10 seconds before a quick impression is made. So how do you grab attention, make people want to read more and ultimately get them to call you for an interview? Passionate about direct marketing and career management, Michelle Robin has translated her extensive B-to-B marketing background into a career focused on her true love: creating powerful personal marketing materials that help her clients stand out from their competition. A dual-certified (NCRW and CPRW) and award-winning resume writer, Michelle shares her career expertise as a blogger for IvyExec and conducts monthly workshops for members of CareerPlace. Her work has been published in the books, Modernize Your Resume and Modernize Your Job Search Letters.